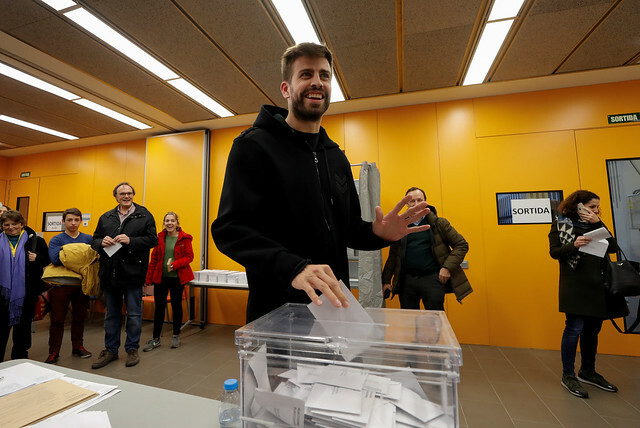 Catalonian separatists look set to retain power in the northern Spanish region after Thursday's local elections, with three pro-independence parties collectively winning a slim majority in parliament. 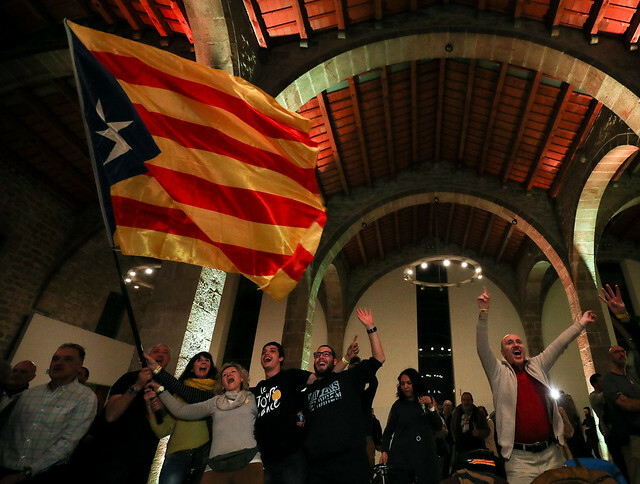 However the pro-unity party Ciudadanos emerged as the biggest party, and a popular vote evenly split leaves Catalonia as divided as ever. 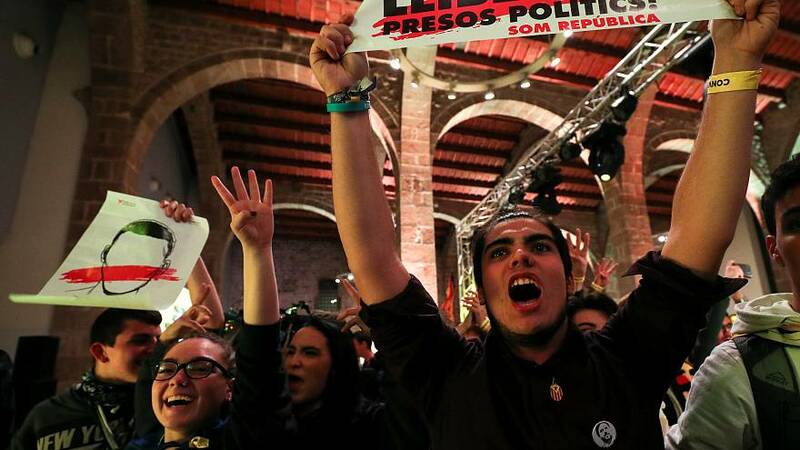 The result gave both sides some reasons to celebrate but plunges Spain right back into a political crisis that the government in Madrid hoped would be resolved. 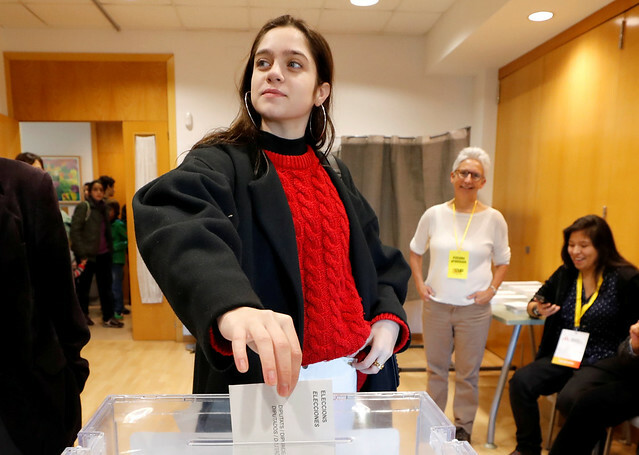 18-year-old Laura Sancho, voting for the first time in her life, casts Catalonia's former President Carles Puigdemont's proxy vote in Sant Cugat del Valles. 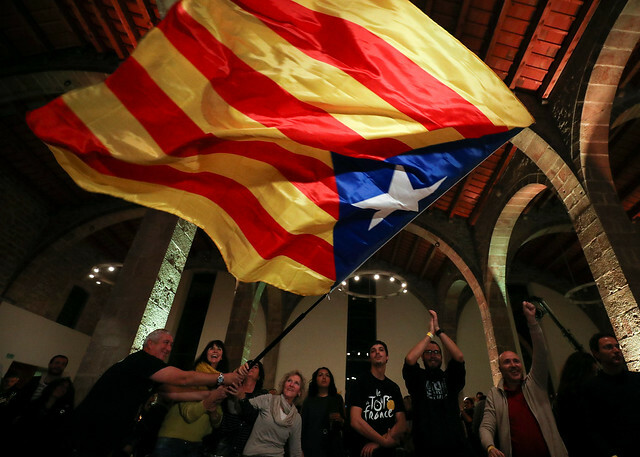 A Ciudadanos supporter waves a Spanish flag at a rally after the election. 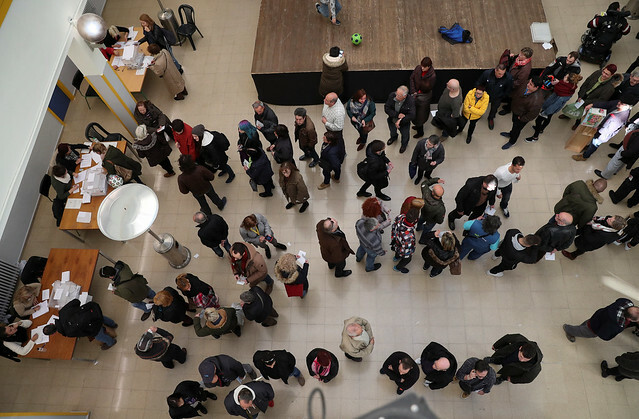 People queue to vote inside a polling station in Barcelona. 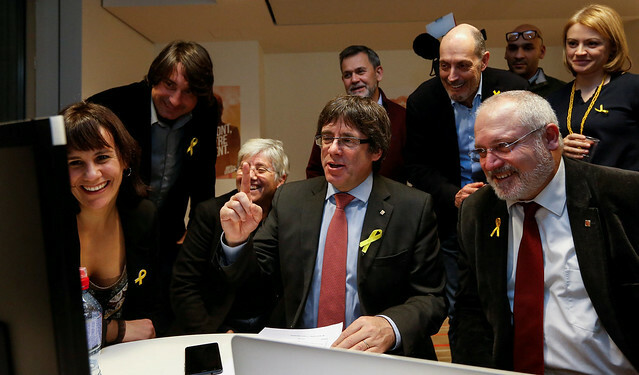 Carles Puigdemont, the dismissed President of Catalonia, reacts to the results from Brussels. 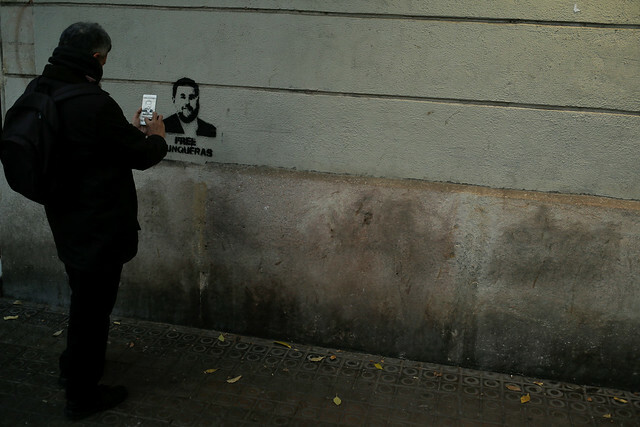 A man takes a photo of graffiti depicting dismissed Catalan vice-president Oriol Junqueras who is in detention awaiting trial on charges of sedition, rebellion and misappropriation of funds. Catalan Ciudadanos leader Ines Arrimadas reacts at a party rally in Barcelona after results were announced. 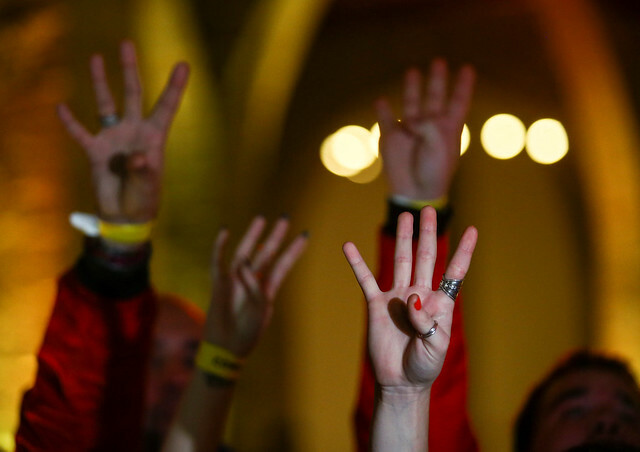 People react to results at a gathering of the Catalan National Assembly (ANC) in Barcelona. 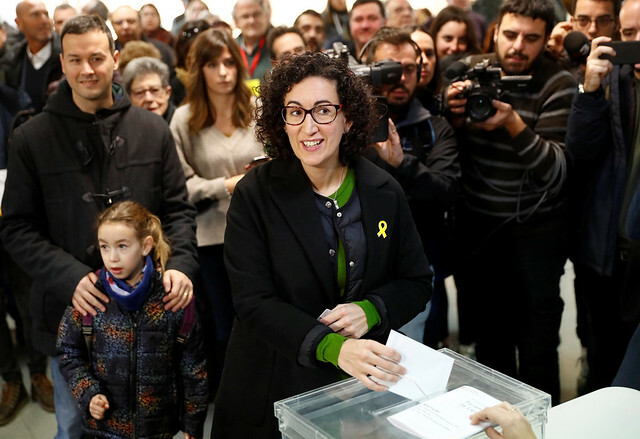 Republican Left of Catalonia (ERC) General Secretary Marta Rovira votes in Vic. 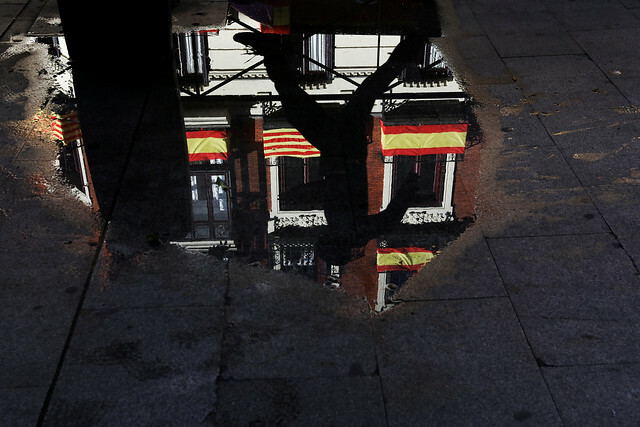 A man is reflected in a puddle alongside Spanish and Catalan flags in Madrid.